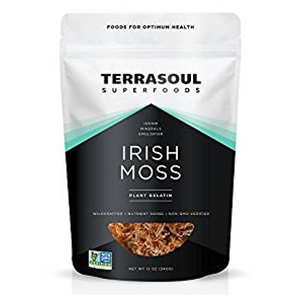 Irish moss is not actually a "moss" per say but a type of seaweed that has been utilized as a food source for centuries in Ireland. This is where "Irish" moss gets its name. The seaweed was most commonly prepared as a healing sea vegetable used in soup broths to fortify and strengthen malnourished individuals. During the Irish famine in the mid 1800's, seaweeds became a main supplement of nutrition for the Irish people, playing a significant role as an abundant, easily harvested and prepared source of sustenance throughout this historical food shortage. 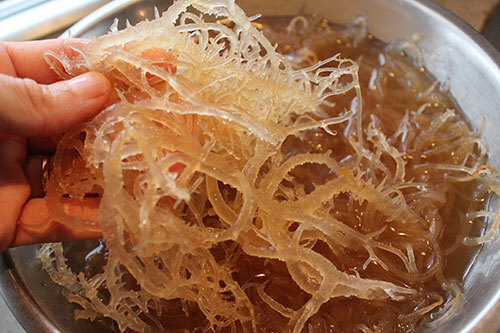 Irish sea moss is a "red seaweed" variety that is often sourced from the Chondrus crispus species, but is also derived from the genus Gracilaria, a less leafy variation. Chondrus crispus commonly grows off the shores of Ireland, Great Britain, the Atlantic coastlines of the U.S. and Canada, most European shores as well as Iceland. Whereas gracilaria, another type of red marine algae also referred to as irish moss, comes from warmer oceanic environments. Chondrus crispus or gracilaria, being very mucilaginous when soaked in water, is one that you wouldn't normally eat like dulse, kelp or nori seaweeds. With a rubbery and tough texture, it is largely inedible straight from the sea. It is, as we mentioned, traditionally simmered and consumed as a liquid soup broth. Today, however, many modern recipes often use the raw blended gel, which serves as a nutritious thickener to numerous foods and drinks. It is very common to find it listed as a vegan replacement for gelatin because of its similar nature and consistency. 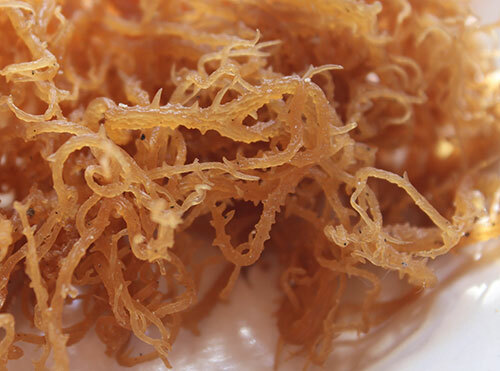 Irish moss is a natural source of carrageenan, which makes up to about 55% of its volume and is what is responsible for its properties as a gelling medium. What is Carrageenan Extract and Is It Good for Us? Carrageenan extract or gum is not the same thing as whole irish moss seaweed or prepared gel. Carrageenan extract is an emulsifier and food additive that has been used in the commercial food industry for decades in yogurt, ice cream, dairy milk, and even organic boxed vegan milks to enhance the textures of these packaged products. It is also used as a stabilizer in other processed foods, as well as a common ingredient in pharmaceuticals, cosmetics, pesticides and toothpastes. The use of carrageenan extract has been the subject of much debate among health-conscious consumers for its studied links to a variety of gastrointestinal disorders including inflammatory bowel syndrome, intestinal ulcerations and tumor growths. There has been quite a lobby of people, including the Cornucopia Institute, protesting the FDA's approval of carrageenan as a safe food additive for these reasons. 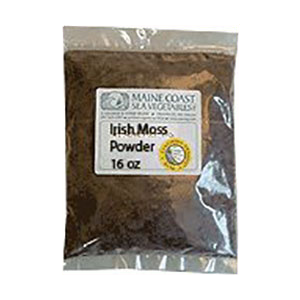 Chemically processed carrageenan extract, also called "food grade" carrageenan, is nutritionally diminished and is not the same substance as whole irish moss seaweed. Manufactured carrageenan is an isolated compound extracted from red seaweeds and treated with harsh alkali solutions, like potassium hydroxide. In an article provided by the U.S. National Library of Medicine, it essentially refers to potassium hydroxide as a toxic poisonous chemical that can have serious health effects if ingested. The amounts of potassium hydroxide present in carrageenan extract remains to be proven, but is a factor to take into consideration regarding its given side-effects. potent inflammatory agent that scientists routinely use it to induce inflammation and other disease in laboratory animals, to test anti-inflammation drugs and other pharmaceuticals." Raw food chef Elena Love makes a good point in her article supporting the use of irish moss: "Olive oil has many health benefits, however if someone were to hydrogenate it and sell it as a butter substitute, it would be harmful for human consumption. 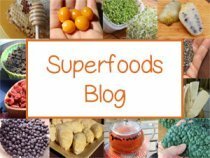 It is the processing of these wonderful whole foods that causes so many health issues." This is the information we have gathered on the subject from respected sources, but it is important to do your own research if you are at all concerned about the carrageenan content present in irish sea moss. There are other such questionable additives that are FDA approved and prolifically used in packaged foods. The only way to avoid them is to eliminate regular consumption of highly processed goods altogether, adhering to a diet based primarily on whole foods and packaged products using whole food ingredients. 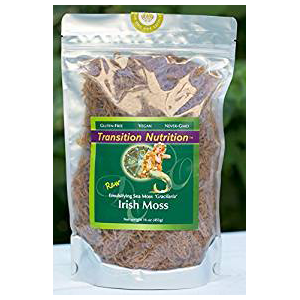 Irish moss, consumed in its complete form as a broth or gel, actually "aids and soothes" gastrointestinal issues and inflammation in the body, contrary to isolated carrageenan extracts that can do quite the opposite. Historically speaking, many cultures around the world have, in fact, used the seaweed for its beneficial properties specific to the digestive tract. Likewise, it has been used for generations in Ireland as a nourishing tonic and energizing food source. The seaweed was a commonly used Irish remedy for bronchitis and coughs as a simmered soup or hot milk drink combined with expectorants like ginger. In Venezuela it is boiled with milk and honey is added as a home remedy for sore throats and chest congestion. In Jamaica, it has a reputation for being an aphrodisiac and cure for male impotence. Jamaicans serve it as a thick, sweet milky drink spiced with vanilla and cinnamon. Likewise, in Scotland, it is made into a kind of sweet jelly similar to tapioca. 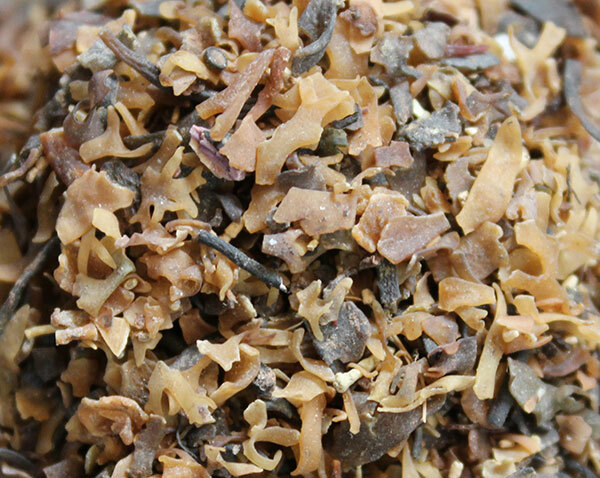 Irish moss contains many beneficial vitamins and trace minerals such as sulfur, iodine, iron, calcium, selenium, magnesium, potassium and folate. 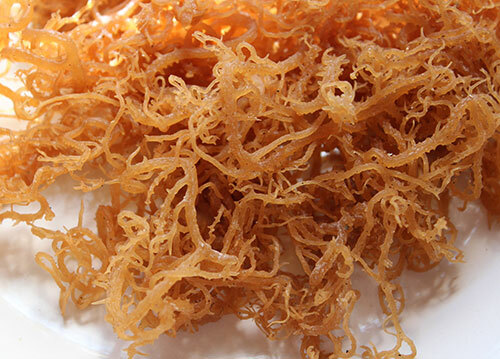 Irish moss flakes, from the Chondrus crispus species, have small red-leafed blades that contain higher amounts of iodine than the whole moss strands, but generally the seaweed is not considerably high in iodine compared to that of kelp, bladderwrack and other sea vegetables. As mentioned, the seaweed broth has been used for centuries as a building food, nourishing those recovering from debilitating illness, fatigue, physical injury or traumas. This practice was largely employed during the 19th century Irish famine (1845 and 1852) to strengthen the body and speed recovery from malnourishment and weakened physical states. The seaweed is also a "time released" energizing fuel source, providing long chain polysaccharides that help to deliver nutrients over a longer period of time for a slower and more sustained nutritional uptake. 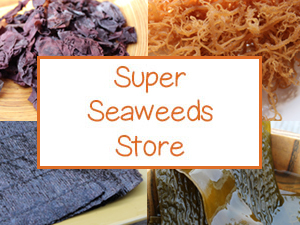 The seaweed is a commonly known and used remedy for issues involving the respiratory tract. As both an expectorant and demulcent, it can be very helpful for coughs, sore throats, relieving congestion and expelling excess mucus from the lungs. Chondrus crispus has been used extensively as an anti-inflammatory and lung tonic for bronchitis and pneumonia in many coastal cultures around the world. 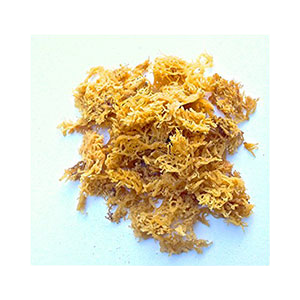 Irish moss is widely utilized in natural cosmetics, creams and beauty products for its nourishing effects to the skin. One of the reasons for this is due to its higher sulfur content in addition to its lubricating long chain polysaccharides, like carrageenan. 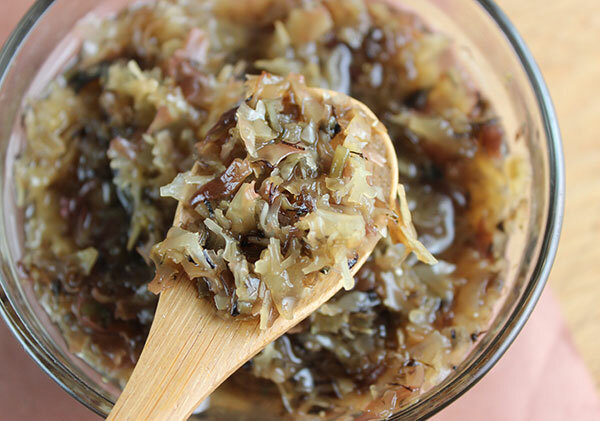 Homemade irish moss gel can be applied directly on the skin for tissue healing and for use as a facial mask. Benefits to skin health can additionally be achieved by internally consuming the seaweed, which helps to rehydrate and moisturize the skin layer from the inside out. Blended gels in drinks or soups can be of great value for issues like eczema, sun burns, rashes or psoriasis. The seaweed can be used to accelerate the recovery from injuries to the joints and is particularly well-known for strengthening connective tissues and cartilage. It helps to reduce swelling and acts as a natural anti-inflammatory for sports injuries or ailments affecting the knees, ankles and other joints of the body. This nutrient rich seaweed also contains taurine, and other sulfur-based amino acids, in greater number compared to other types of seaweed. Sulfur helps to shield the joints against infectious organisms that may lead to joint problems like arthritis further down the road. It can be used as a dietary adjunct, along with MSM, morinda root and eucommia bark, for enhancing joint health and skeletal structure. Rich soup broths made from irish moss seaweed have been used for centuries to relieve gastritis and ulcerative conditions of the digestive tract. Acting as a mild laxative, its demulcent qualities are lubricating and soothing to the mucous membranes and lining of the stomach and intestines. Similar to chia and flax seeds, irish moss can be used as a nutritious and low calorie thickening agent and filling food source, helpful as a substitute for nuts, fats and carbohydrates in drinks and desserts. Its time released nature additionally provides a feeling of fullness that satisfies hunger and acts as a natural appetite suppressant. It is a mild laxative and contains small amounts of iodine which can help to boost metabolism and increase energy, beneficial for those wanting to lose excess body weight. 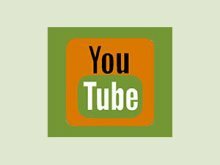 It is one of the most popular types used to make the seaweed gel as it has a neutral flavor and mild scent. One cup of gracilaria soaked in water will increase up to 3-4 times its original size and generally turns a more translucent color when saturated. 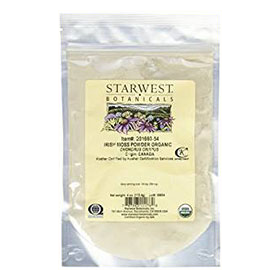 The gel is commonly prepared by those adhering to a raw food diet for its nutritive and energizing components. It is additionally highly utilized by raw gourmet chefs as it provides a thick texture to assorted raw desserts, like cheesecakes, lemon bars, pecan pie and vegan cheeses. 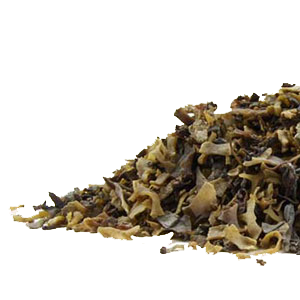 This is a dried mix of red-leafy blade flakes or darker to lighter brown seaweed pieces sourced from the Chondrus crispus species. When soaked and blended it provides a darker gel with a somewhat stronger flavor that is slightly less desirable for use in recipes. One of the benefits to using the dried seaweed pieces is that you can usually find a "contamination tested" or organically sourced version. Flake pieces are also somewhat higher in nutritive properties compared to gracilaria. It is important to select raw variations that are not high temperature dried for optimal nutritional uptake. 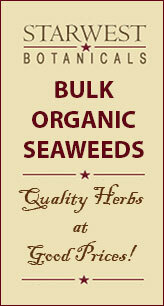 Our two favorite suppliers are Mountain Rose Herbs and Maine Coast Sea Vegetables. The powder is created from grinding the dried Chondrus crispus pieces. 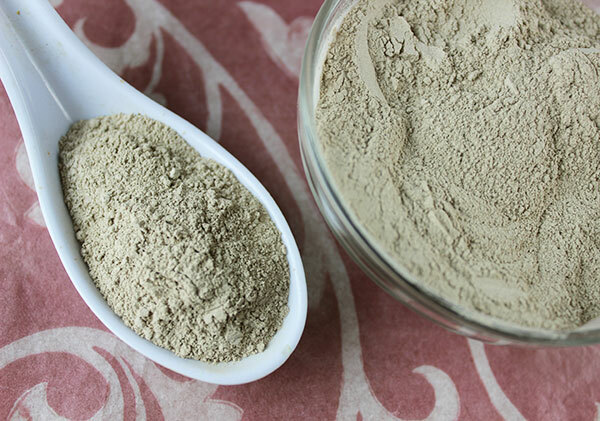 This provides a fine grey colored powder that can be easily added to thicken foods much like the gel. It does tend to absorb more moisture, however, so keep this in mind when using it in recipes. 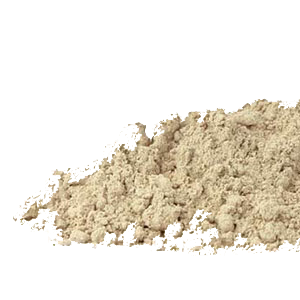 Concentrated powders have a very strong fishy flavor that are not as easy to camouflage with other ingredients. It is thus not always appropriate for use in sweet desserts or beverages. As with the dried whole moss and flake pieces, it is important to select high quality brands for the highest health benefits. This variety is most often red-purple to light brown in color when sun bleached. Fresh Chondrus crispus is wild harvested in locations conductive to its growth, primarily the cold Atlantic coastlines of Canada, Europe, Iceland and the U.S.
You can make a jar of irish moss gel and keep it in the fridge to use as a base for protein shakes and smoothies. As we mentioned, the polysaccharide sugars and nutrients are "time released" for slower nutritional uptake and provide the perfect fuel source for exercise regimes, sports activities or workout sessions. 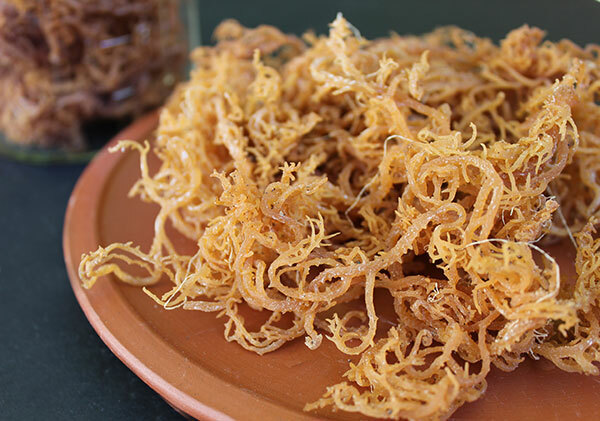 Stated previously, the gracilaria variety is a very popular ingredient these days in raw dessert recipes to create a thick consistency for raw cheesecakes, raw ice cream, sauces, dressings, jams and puddings. We always have some on hand for adding to drinks and recipes, like our almond milk, lemon bars and cheesecake recipe in the links below. 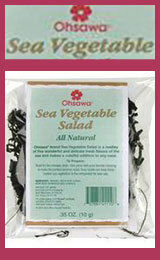 The blended gel can be added to miso soups along with other seaweeds like kelp, nori or dulse. Likewise, the whole or dried pieces can be simmered and strained to create a thick soup stock. You can also make a seaweed facial mask, using the gel recipe below straight from the blender. Seek the advice of a health care practitioner if pregnant, breast feeding or taking prescription medications, especially blood thinning drugs. 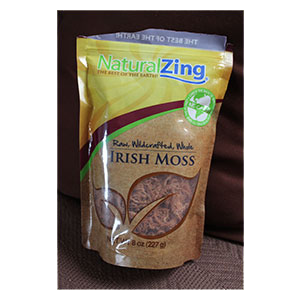 Excessive amounts of irish moss may cause loose stools as it is a mild laxative. It is best to avoid intake if diagnosed with hyperthyroidism.